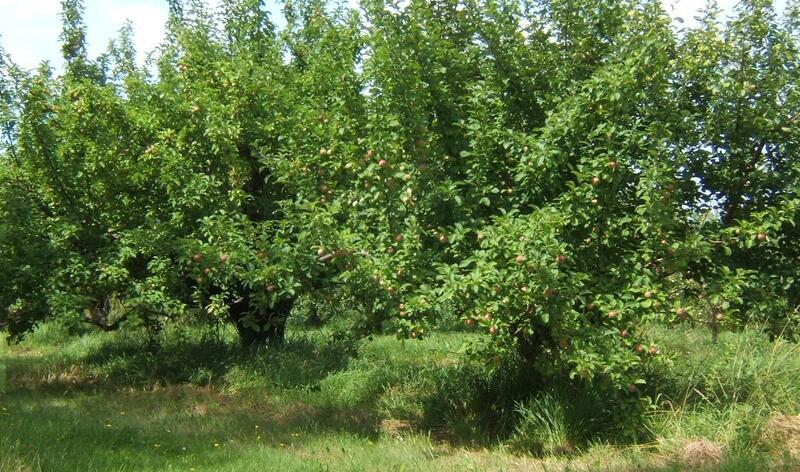 One of the spaces I loved the best on my grandfather’s farm was the apple orchard. It was a small orchard, perhaps twenty trees. I have never seen it in spring when the apple blossoms are in bloom, in fall when the trees are laden with fruit, or in winter when the stark bones of the trees are visible. But I knew the orchard in summer, when the green canopies of the trees shed thick shade over the meadow grasses beneath. In summer, the orchard was usually a private space. The farm yard could be bustling with people and animals, but the orchard was set apart. It was a still room of dark and dapple. At the edge of the orchard was a green swing chair. It was a braced frame with two benches, facing one another and suspended for swinging. Four people could sit in comfort and sway genteelly to and fro. Or a lone child could pump vigorously back and forth until one side of the frame lifted high with each upward swing and gave a satisfying lurch on its return. I, of course, would never have done such a thing. When I wasn’t pushing the swing to its limits, I was climbing apple trees, one in particular. Its main side branch was as thick as its trunk and jutted out parallel to the ground. A little jump and you could sit on it like a chair. Swing a leg across and you had a horse. Stand on it and you were in the crow’s nest of a sailing ship. Sit down again, lean against the trunk and you had the ideal perch for reading the afternoon away. The orchard was usually a private space. But on Family Reunion Day, it was the focus of the festivities. Big tables covered with white cloths were assembled in a line. Enough chairs were unfolded for every person in our very large family. Cars turned in at the driveway and claimed a spot in the farm yard. Cousins rolled from the cars and were soon climbing and swinging in the orchard. The table gradually filled with a conundrum of casseroles, bean pots, roasters and platters. After the eating was done, wire hoops went up for a game of croquet. My Dad loved croquet and would show me all the tricks – how to get through the starting hoops in a single turn and how to ricochet off the goal post. He also showed me how to bump up against the ball of another player and send their ball flying out of bounds on the next turn. Armed with my learning, I gripped my croquet mallet, certain to win. And realised my brothers and sister and some of the cousins had some strategies of their own! After the Reunion was over and the last car was waved from the driveway, I was left alone in the orchard and it seemed more empty and silent than before. 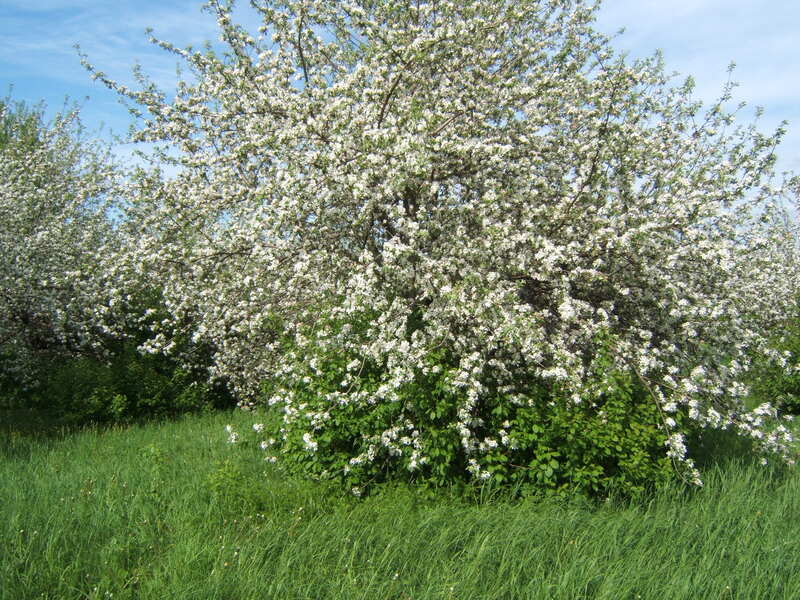 I would love to return to the apple orchard on my grandfather’s farm and read a book in my tree one more time. Are you ever too old to climb an apple tree?